LSAT Proctor, the company that invented the Virtual LSAT Proctor DVD and revolutionized the way students prepare for the LSAT, has rebranded itself as SimuGator. The new name gives SimuGator the flexibility to develop products, lessons, and simulation videos in new markets. 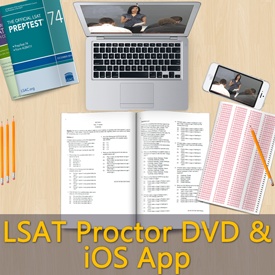 The Virtual LSAT Proctor DVD has been remastered and improved and is now called SimuGator: LSAT Prep Edition. This helpful LSAT prep tool can be purchased at SimuGator website (http://www.simugator.com).